The implementation of midpoint, endpoint, and single score assessments to support decision-making remains a major challenge for developing a coherent social impact assessment methodology. The simple weighted sum approach and normalization technique for single score assessments have been problematic and the final results do not realistically represent stakeholder perspectives due to mis/over-interpretations. The focus of this study is to develop a weighting scheme for social impact assessment. The developed scheme is then evaluated using a case study on social impact assessment of the sugarcane sector in Thailand. A weighted aggregation method has been developed for assessing different categories and sub-categories of social dimensions. The performance indicators for each sub-category determine the accuracy of the impact results by establishing the rating weight of the importance of social aspects and satisfaction. The developed method is then applied to a case study on sugarcane-based ethanol production in Thailand. The stakeholders involved in the sugarcane sector comprising sugarcane, sugar, and ethanol production include cane growers, cane workers, sugar factory, and ethanol factory workers. The social issues related to stakeholders in sugarcane, sugar, and ethanol production must fit the cause-effect chain, which can help not only in defining the specific social aspects to meet the appropriate sub-categories and performance indicators but also in facilitating the data collection. The characterized/inventory result can be improved by using the weighting factor of importance of social aspects and satisfaction. The results of the social impact performance score reveal that including the weighting of the importance of social aspects and satisfaction affects the result of the impact sub-categories and social categories. The case study revealed that the relevant impact categories of cane growers are (1) land tenure; (2) access to knowledge, facility, and natural resources; (3) employment, wages, and labor conditions; (4) equity; and (5) human health and safety. On the other hand, the impact categories of cane workers, sugar factory workers, and ethanol factory workers are (1) decent livelihood, (2) labor rights, (3) equity, and (4) human health and safety. 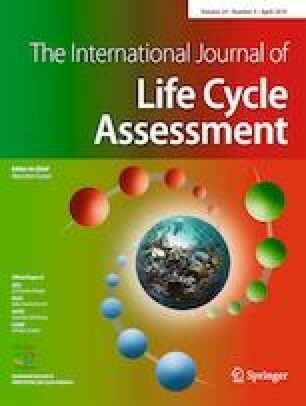 The social impact assessment method with developed weighting scheme can help the government and private sectors prioritize their efforts in minimizing negative social impacts throughout the life cycle of biofuel systems. However, the data on the importance of social aspects and satisfaction is subjective; uncertainty analysis or sensitivity analysis must therefore be applied to further observe the variation of different options to facilitate decision-making. The online version of this article ( https://doi.org/10.1007/s11367-019-01624-8) contains supplementary material, which is available to authorized users. The research has been carried out under the thesis “Social Assessment of Biofuel Systems in Thailand” supported by the Thailand Research Fund under the Royal Golden Jubilee Ph.D. program (Grant PHD/0124/2559) and the project “Research Network for LCA and Policy on Food, Fuel, and Climate Change supported by the National Science and Technology Development Agency, Thailand as well as the Joint Graduate School of Energy and Environment, King Mongkut’s University of Technology Thonburi, Thailand and Department of Management Engineering, Technical University of Denmark.